Our technical team has developed a school system, a system that helps all parties in the learning process, starting from school and teachers, to students and parents interacting and communicating through the system, which is published on the Internet. The idea of ​​establishing a system of school communication because of the suffering of school administrations and teachers from the reluctance of many parents to communicate with the teacher or school and to inquire and trust in the levels and rates of academic achievement, educational, social and behavioral of their children in school. 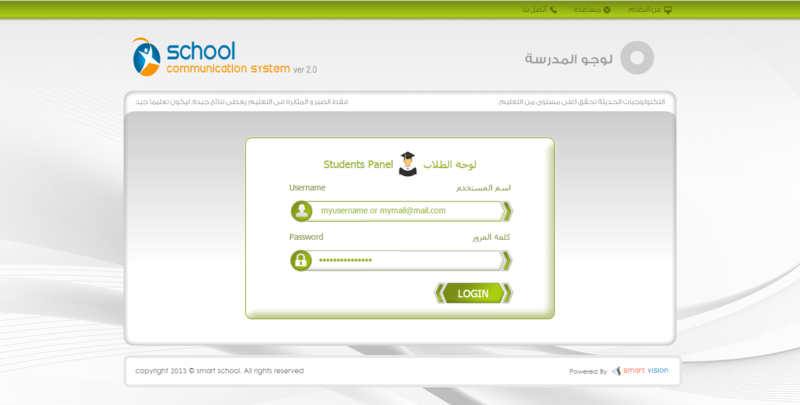 Therefore, the school communication system is the best place for communication between parents, students and school administration, which allows dialogue and communication through a simple way from anywhere in the world and at any time, thus contributes to the development of the educational process as a whole. Ease of use by the school administration, teachers, parents and students it is a simplified and uncomplicated system. Helps to increase the organization of the work of the school administration and teachers, saving time,effort and also the cost of printing and paper use. Make parents aware of and follow-up to their children in school. Enhances coherence between students and teachers. Helps and supports the learning process by providing student information about the material. 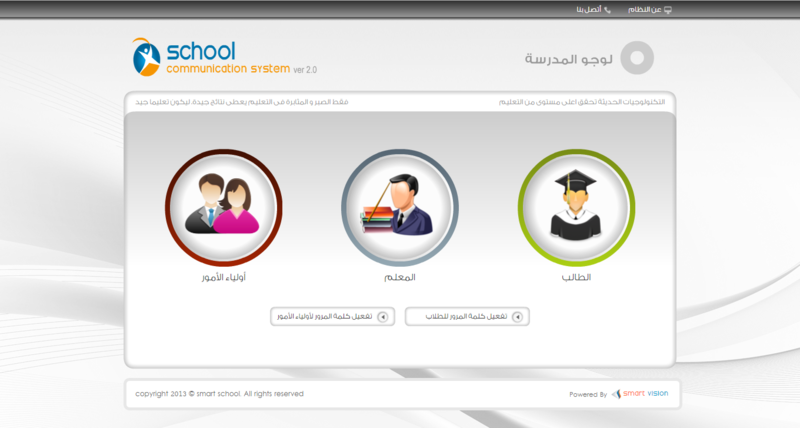 The school communication system is used over the Internet, which supports communication and interaction among all parties in the educational process, including school administration, teachers, students and parents. Helps the teacher to develop teaching and teaching methods and enhance communication between the application itself and all students.